20 Best Educational Websites for Kids: – Is your child more inclined towards computers, smartphones and tablets, and does that worry you? What you can do rather is find some cool educational websites and bookmark them for everyday use. Yes, it’s important for your kids to engage in outdoor games, but having some screen time every day is also equally important that lets them learn while they have fun. Screen time is not always bad, and can turn out to be really beneficial with the educational websites that also involves recreational activities, like games and TV shows. Educational websites contain pure content that’s informative, challenging and entertaining. This way even you are relived that your child is engaged in something constructive than wasting time. Interactive websites are an excellent added form of learning and with the right matter your kids can learn effective processing skills. Even the online games offer educational benefits for the children like, identifying shapes, encourage counting, repeat sounds and more. So, add to your child’s education with online learning using our list of best educational website for kids. 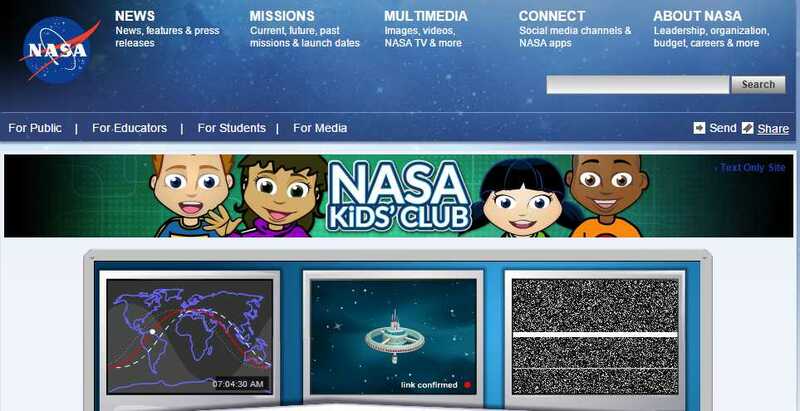 If your kiddo shows inclination towards the outer space and often acts like an astronaut, introduce him to NASA Kids Club and they will love to see from the astronaut’s point of view. They will learn everything about the well-known space program and can even solve puzzles or play games with this cosmic page. 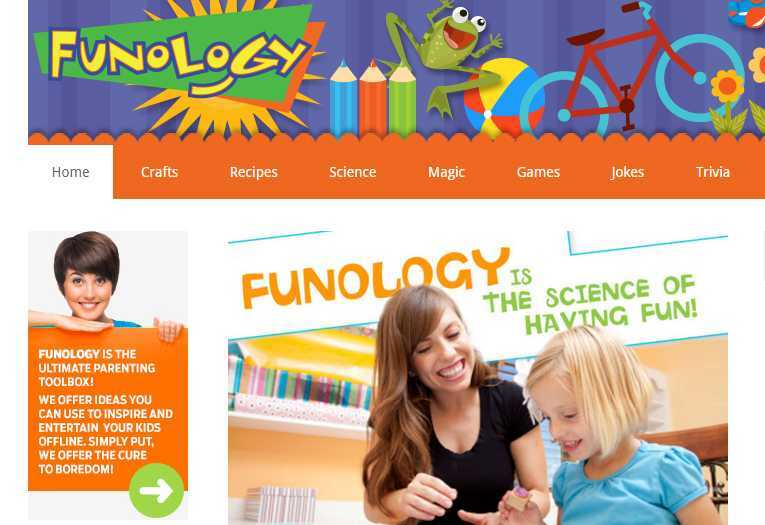 Funolgy is a virtual toolbox for parents and teachers that generate cool ideas that help them to encourage the kids and even entertain them. Kids can try their hands with fun science experiments, magic tricks and also arts and crafts projects. It doesn’t stop at that, as apart from being creative they can also play games, read jokes and even learn to cook with the yummy recipes. They can then give these recipes some wacky names. You can also look for the video games and board games under Funology Favorites that can be make for some interesting gifts as well. Learning to spell can be really tough for the kids hence; they need some form of inspiration and assistance to get going. Spelling classes were never so fun till we saw this website which is available to play on Google Chrome. 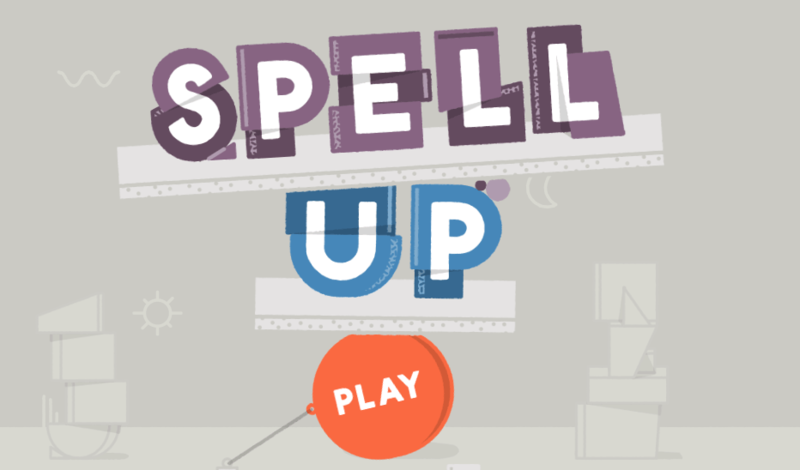 It offers an interactive oral spelling game session that makes it interesting for your kids. The site has amazing graphics and cool audio which makes it a fun session. To use the website you do not need to add an extension, but simply go to the website on your Chrome and start playing. From Dragon training, NFL heroes to Math Blaster your kids have a lot to learn with the free 3D educational games by JumpStart. Your kids are sure to be skilled enough with these games that will drive them to be successful in future. The best part is that JumpStart is also available on OS and Android, so your wee intellectuals can also access the site on their smartphones and tablets. Time4Learning is the customized way to provide education to your kids with its online educational games, lessons and videos. It is a homeschool that has everything that you need to provide your kids for learning and for all ages and grades. Right from the pre-schools to the 12th grade and from Math, science and social studies to language & arts it features all. It is a paid website that starts from $19.95 a month and can be cancelled anytime. So introduce your child to this wonderful educational website and be tension free about the revisions. Kids do not need a reason to play games and hence, FunBrain can be just the right choice as it teaches kids with the help of fun games. Whether your kid is in the pre-school or in the Grade 8, they are sure to have some fun learning math, spelling or reading with this website. 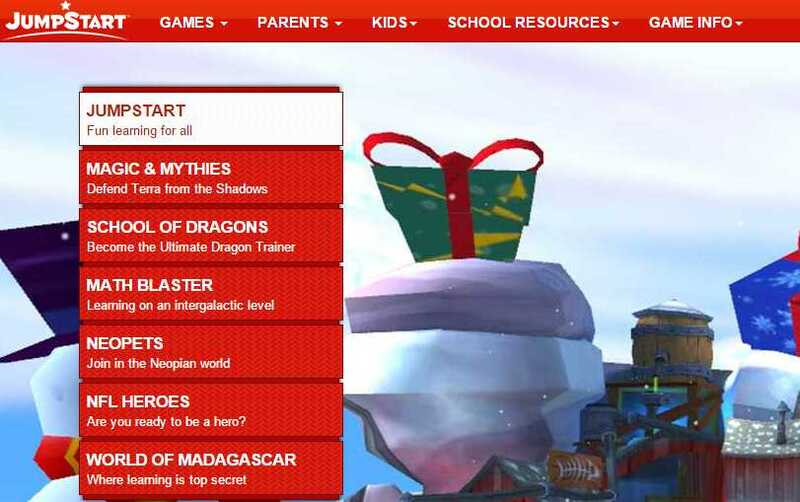 The website features more than 100 interactive games that help the kids to learn and get entertained at the same time. If you are kid loves to read then FunBrain becomes the best option for them as they can read books on the go. They can read from the good collection of books and comics that feature Brewster Rockit and Diary of a Wimpy Kid which are available to read for free. More fun is in store for your pre-schooler who can learn using the mouse and keyboard under the “Playground” section in games. The key attraction of the website is its games collection along with superb graphics and vivid colors. So, watch out if your kid is playing more than learning.. If your kids are in Grade 3 and above, Standard Deviants Accelerate can be one of the best educational websites for them. Your inquisitive kids are sure to calm down with the educational games and videos in this website that are quite fast-paced. The homeschool lists all major subjects that are in your kid’s curriculum and even provides support for parents and teachers. Standard Deviation Accelerate has won the best educational Website Award fr the year 2015 by Homeschoolers.com and you can also read reviews of this site by other homeschoolers. The pricing depends on the subject you choose which usually starts from $4.99; however, you can also try the stuff under the 7 day free trial period. Smithsonian Education is owned by Smithsonian Institution and it helps your kids with online lessons that are full of information and interactive. The website offers lessons in various subjects such as, art & design, science & nature, history & culture and people & places. The site also features a lot of other fun and interesting information for students. There is a separate event calendar for kids that list all the latest events in the vicinity. Moreover, if your kids have many questions like, “how high is the moon” or “how big is the universe” IdeaLabs is one of the sections that can help them greatly with the answers. Rich Kid Smart Kid is one of a website that teaches your kid how to handle money in no time through the fun games. Your kids can take their first step to financial literacy with this site that helps them realize the value of money in an amusing way. The games available are free to play and the difficulty level is based on the grade. Study Jams is a website that helps your kids learn math and science in combination with encouraging music. It’s a innovative concept that makes learning fun with karaoke music with lyrics. You can play video or slideshows and test yourself on the subject. They have sections for teachers and parents as well. You can also get more information from the Hot Topics or the Did you Know section. Now if you want to shift a little bit towards foreign language learning, there is no better website than Duolingo that can help your kid. It was awarded as the “Best of Best” by Goggle in 2013. This program is totally free and assists with interactive education for different foreign languages. The website currently offers tutorial for 21 languages and is appropriate for the kids of age 5 and above. The best part is that it is available to download in form of app as well, so you can even view it on your smartphone or tablet and can even connect it to your smart TV. Earn digital rewards and keep tab of your progress with the graph. You can also upgrade it to premium if you feel the need. It’s fun with the Grid Club to learn educational lessons as your tiny ones can play challenging games while they learn about math, English, history, literature and science. There are many other things to learn as well that includes, music, building a website, computer know how, painting, telling a story, designing, geography, health and more. It is a simple website that highlights the categories with colorful pictures and hence, is easy to understand and easy to use. If you feel lost, simply search the item you are looking for. Fascinating education is for all those little learners who need auditory or visual lessons online for science. The website explains complex science projects in a simple way that is easily understood by the kids. The course lessons are displayed in a table format and there are three sets of colored buttons below each picture. Using the buttons your kids can access the lessons, tests and the test scripts. The content covered by Fascinating Education is designed as per high school curriculum. However, even the mid-school students can take the course and prepare themselves for the next step or even the college students. One of the best ways to hone the skills of your computer buffs is to introduce them to Scratch and they will know all about the computer programming basics in no time. Developed by MIT, it is a free online software utility that helps kids learn to make their own computer games, stories or animations with ease. While Scratch junior is an app specially designed for the iPad for users between the age group of 5-7 years, Scratch on the other hand targets kids above 7 years to the adults. Coding becomes fun with Scratch and during the process of designing their own stuff they also learn problem solving, creative expressions on the PC or design projects. Once kids are done with their designs or creations, they can then share it on their online community so that even they can try it out. The comments received by the real users and the number of views can be seen by your kids. History is one such subjects that not many kids relate to, neither did we when we were young, remember? MissionUS is a website that tries to get that fear off with its unique concept which believes that “being there” when the event occurred could create that interest rather than mugging up. It comes with a wide collection video games that are free to play that gives them a chance to re-live the historical event via the game. They can choose to be a part of one of the missions out of four and be a part of the US history. With each mission they get introduced to a different time and facet of history and it also lets them explore the facts from the view point of the different characters. MissionUS works on the web platform and is also available to download for Android and iOS. National Geographic kids is a world full of colorful pictures, interesting content and appealing design that captures the interest of the kids in a flash. Just like it’s magazine equivalent, the website is attractive and appealing with its entire look and the world of science content that it contains. It is one of the best websites for kids to learn about the world around them while they also learn about all aspects of science. The website interface is filled with amazing clicks and visuals of a wide range of beautiful places, wildlife, flora, fauna and more that keeps even the adults hooked to it. The National Geographic kids site features a wide variety of games, polls and quizzes to for the tiny friends that helps them learn various aspects related to natural science, geography, archeology and more. While you will find answers to many interesting questions, you can also keep an eye on their Wacky Weekend Feature where the site publishes a fresh batch of unique photos. IXL is one of the best options that can create a homeschool and help your kids revise the school curriculum. The website offers a comprehensive online program that helps kids from K to 12 with math, English and plus grade-school language arts. Children can keep on practicing problems till they understand the topic well. On completion of the problems they even earn badges and simple digital awards like, prize pictures. The best part is that the site adjusts the problems based on child’s level and if they have answered most correct it skips to the end, however, if there are too many incorrect answers they will have to solve more. What’s fun here is that kids can even try problems from other skill level outside their grade. While they can solve a few set of problems for free per day, to unlock the full version you need to pay $9.99 per month or for family membership $79 per annum. Khan Academy is a popular educational website which is completely free and is a not-for-profit organization that is committed to provide world-class education for free. It is a simple website that’s ad-free, extremely easy to navigate and is perfect to be used by any school-going kid. The website that started with Math as the only subject, now offers all subjects that you can think of. Once signed up (free) your kid needs to attend a tutorial and pre-test based on which the site designs a customized learning plan for them. While as a parent you can create an account for your family, your kids can also have individual user ids and passwords. If you do not want to sign up, you can simply watch the Khan Academy YouTube videos at any given time. CryptoClub is a fun website based on cryptography that helps develop your child’s mathematical skills with various puzzles, games and comics. There is a separate section for teachers too that features projects and workshops, treasure hunt clue generator and private groups. While you can play with Cipher that provides encrypting and decrypting tools, there is a section dedicated to “Challenges” or Crypto Challenges where you can crack secretive messages, add jokes that others can decrypt or crack messages from the leader of your group. Code Academy is one of the best places to kick off your kid’s interest in coding. While the budding coders have a great platform to start with, this website is equally beneficial for all those who are inclined towards coding.